Christmas has for Madeiran people a special charm unique in the world. 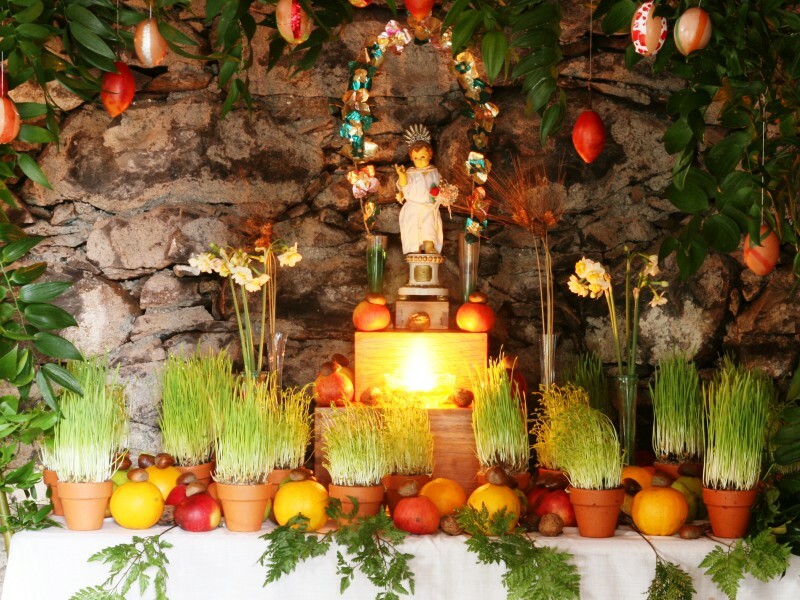 The “Feast Day” is related in every sense of the word to the island traditions. 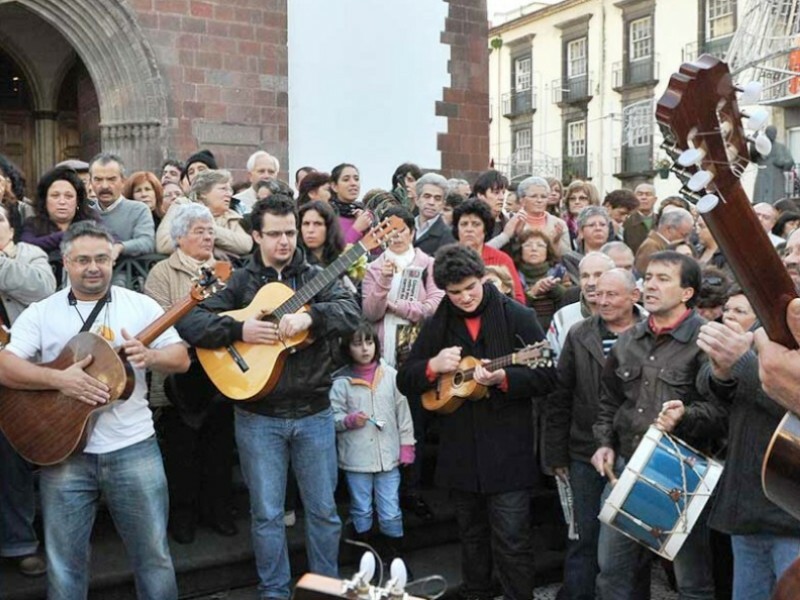 People from Madeira usually use the expressions “for the Feast”, “the pork for the Feast”, “the Feast month”, “after the Feast”, taking as reference the date adopted for the celebration of the birth of Jesus. It’s a season full of traditions, ennobled by the ethnography and folklore, revealing the “historical” of Madeiran soul. Even today, these traditions perpetuate themselves in time! 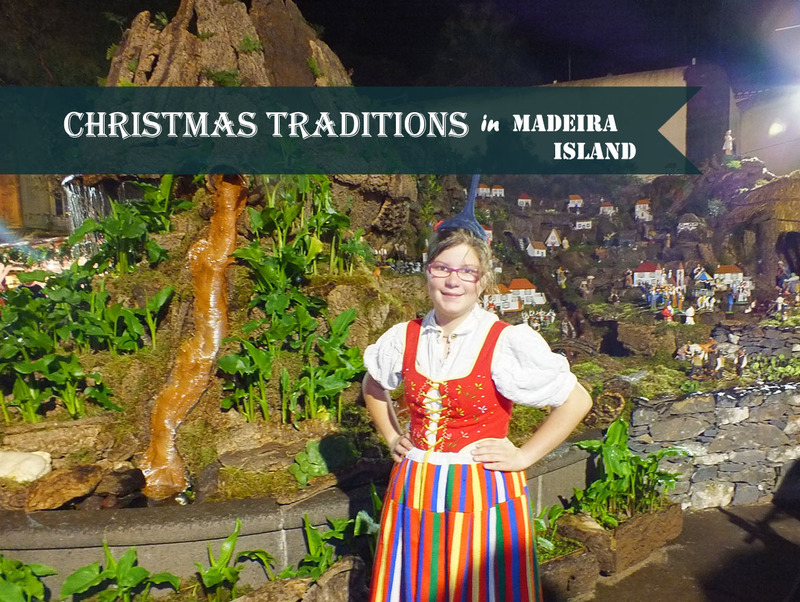 Here are some of the Christmas traditions in Madeira Island, although the ideal is to see with your own eyes how wonderful it is to be here at this time of year. 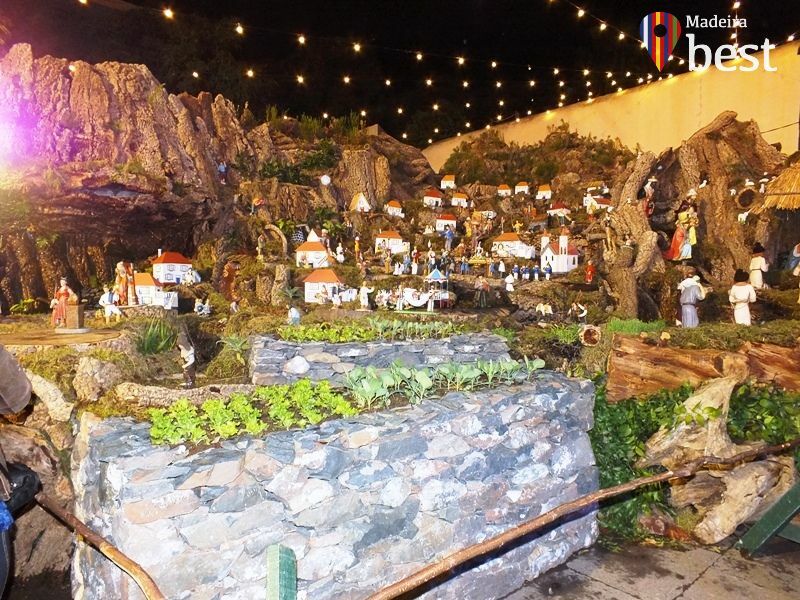 In Madeira, the nativitity cribs (native scenes) are build in two forms: in the form of a staircase or in a rock-shaped form. In general, both are referred to as “lapinha” by the locals. The “Lapinha” in Staircase, or simply “Lapinha”, consists of a small altar of three hauls (the staircase) that is placed on a table or chest of drawers covered with a red and burgundy tablecloth and, on top of it, another lacy white tablecloth. On the top is placed the image of the Baby Jesus, and on the other steps the shepherds and other figures of the crib, fruits such as oranges, pears, nuts and wheat seeds. The rock-shaped “Lapinha” is done imitating mountains, valleys and a grotto. The little rock recreates the landscape of the island. Once the rock is made, paths are built, lakes, streams, waterfalls and “levadas”. Then figures are placed: there are houses and churches, fruits, sheep and sheperds. Finally, the Baby Jesus is placed in the nativity crib, together with Mary, Joseph and the three wise men. The Traditional Christmas Tree in was traditionally bought at the farmers’ market, to retain the natural smell inside the house. Nowadays, most people already buy their artificial christmas tree. The decoration of the Christmas tree is usually made with balls, christmas lights, snowflakes, bows, wreaths, etc. At the top of the christmas tree stands the star. It is very traditional the Christmas tree to be accompanied by the rock-shaped Lapinha. 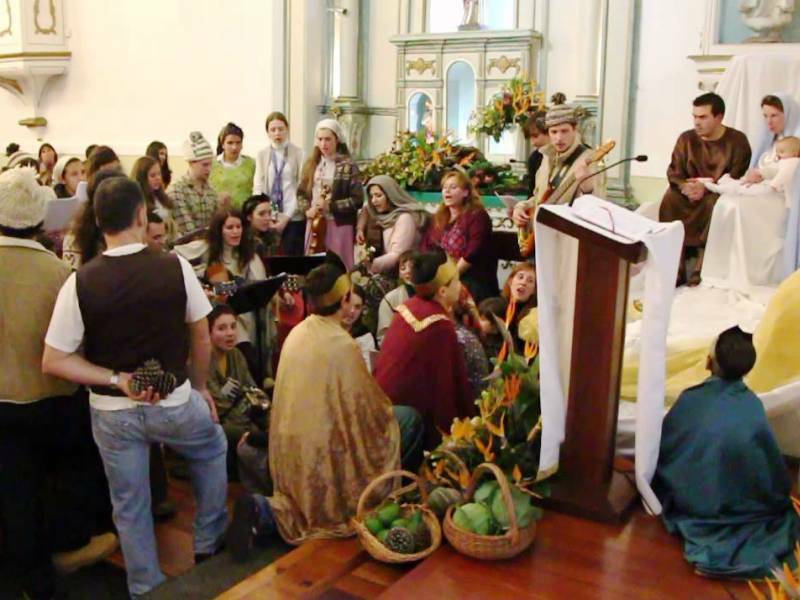 The Christmas celebrations in Madeira Island began with the “Novenas”, which are called Childbirth Masses. The first mass occurs on December 16th and the last one on December 24th. All the Masses are celebrated at dawn, usually between 5 and 7 a.m. in the morning. It is an old and documented custom, at least since the eighteenth century. At the end of the Masses, the animation takes place in the churches, where the population meets and offers food, drinks and music to the faithful and visitors. The Midnight Mass or the Rooster Mass is a mass that takes place at midnight from December 24th to December 25th and is celebrated after the Christmas Eve dinner. It is called the Rooster Mass, due to the legend of a rooster, which is believed to have been the first animal to witness the birth of the baby Jesus, witch caused him to announce the birth of Christ every Christmas through his singing. 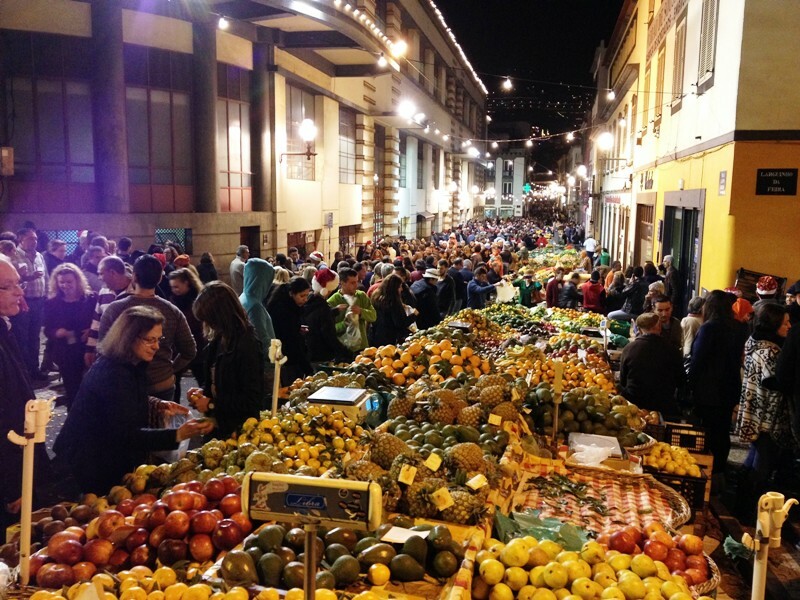 On December 23rd, all the roads will take you to the Farmers’ Market in Funchal. It is called “The Market Night”. The Market Night tradition dates back to the 1940s when Madeiran people took advantage of one of the last opportunities to buy fresh fruits and vegetables for the holiday season. It is the ideal day to visit the market and get to know and buy all kinds of regional products: fruits, vegetables, flowers, sweets and typical Christmas drinks. In the last twenty years, this night has become one of the trademark images of Madeiran Christmas. 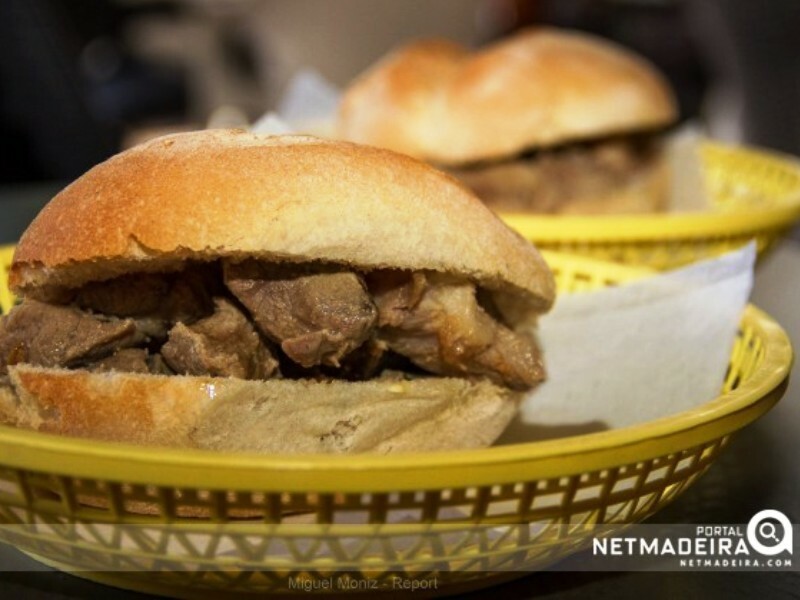 Today, the streets surrounding the marketplace are filled with music, entertainment, food and drink stalls, with “carne de vinha d’alhos” sandwiches and the regional “poncha” being the great attractions of the evening. 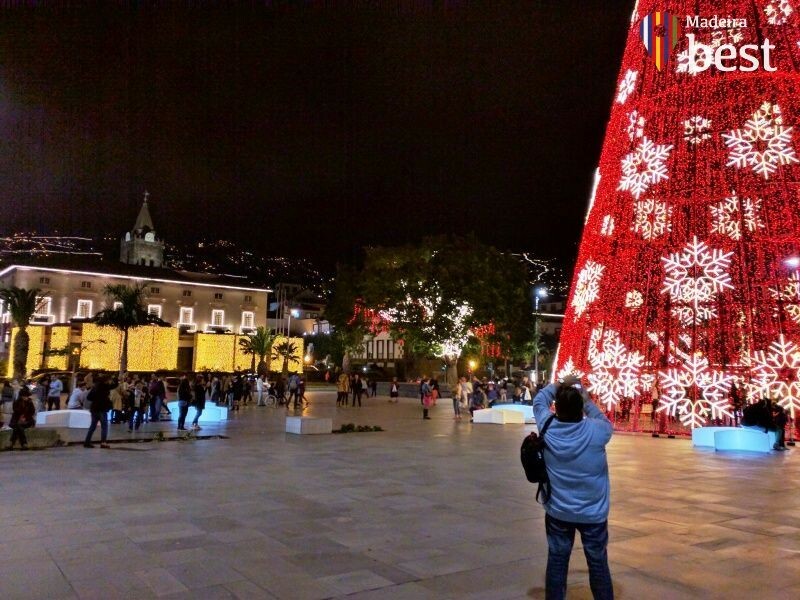 The Christmas lighting in Funchal begins on December 1st and lasts until January 8th. The magnificent Christmas decorations and the Funchal streets animation makes Madeira a popular tourist destination at this time of year. It’s a tradition to see families walking around the main streets of Funchal, such as Rua Fernão de Ornelas, Avenida do Mar, Avenida Arriaga, Rua do Aljube. An authentic spectacle, not to be missed! 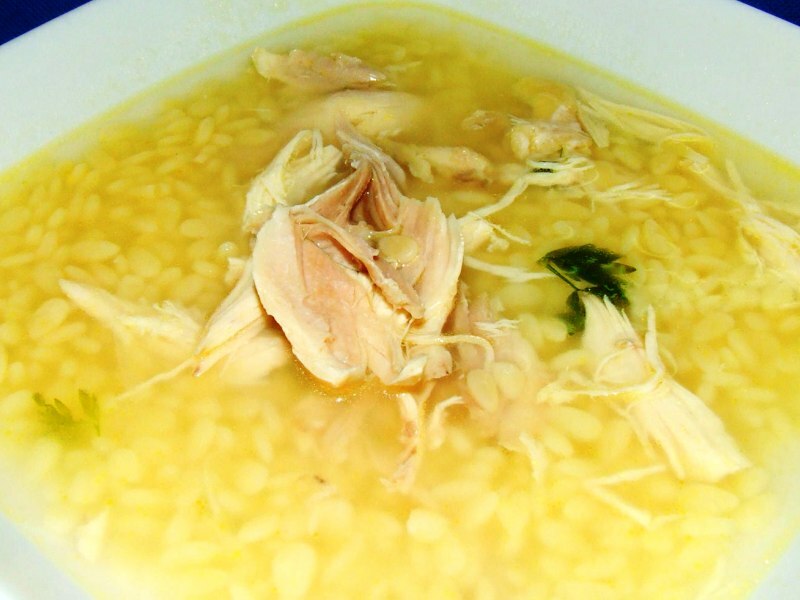 At Christmas, it is a tradition to make some typical dishes from Madeira Islands, such as “vinha d’alhos” meat and chicken soup. 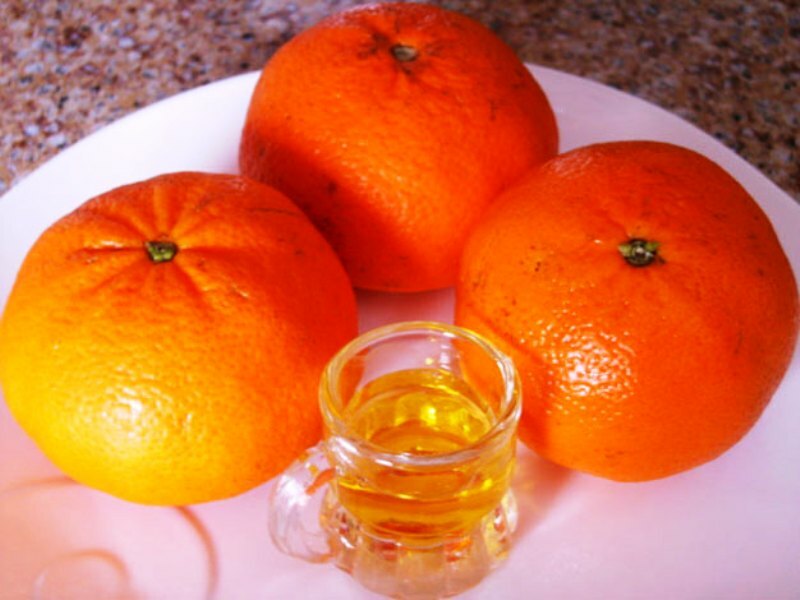 In addition to these, there is a variety of drinks and sweets much appreciated at Christmas and New Year’s Eve. 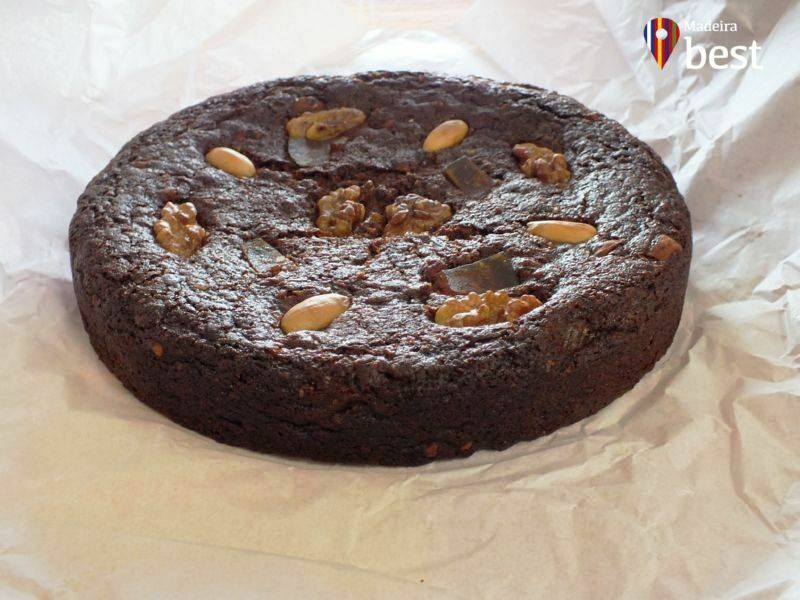 The Madeira Island Honey Cake is one of the most traditional delicacies of Madeiran gastronomy. It is made with sugarcane honey and has the particularity of being preserved for a long time. Madeira Honey Cake is traditionally linked to Christmas. Usually it is prepared on December 8th, the day of Our Lady of Conceição, in order to acquire in this period the characteristics that make it unique. Christmas in Madeira is filled with sweets and the cookies are mandatory. 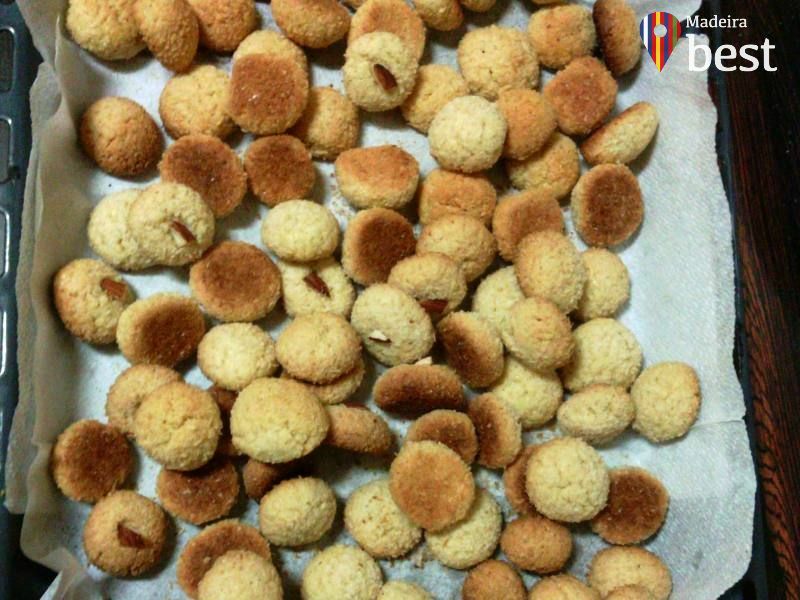 The Honey Cookies, made from sugarcane and honey, are one of the delicacies of Madeiran gastronomy in the Christmas season. There are other cookies also characteristic of this season like the butter cookies, beer cookies, coconut cookies, or sand sticks cookies. Cookies for all tastes! “Carne vinha D’alhos” is a typical Christmas dish in Madeira Island. The “meat with garlic and wine” is a simple, traditional delicacy in the island, which is always present on the tables of the locals in the Christmas season. This gastronomic delicacy is also related to another holiday tradition, the slaughter of the pig. It is made with pork, white wine, vinegar, garlic, bay leaf, savory, salt and pepper, and left to marinate for at least two days. Then it is cooked in the marinade and stored. At the time of eating it is fried with lard of pork and accompanied with bread fried in the same fat of the pork. The liqueur of: “Tangerina”, Tim tam tum, Aniz, Népera, Beer, Peppermint, Passion Fruit, Pitanga, Sugar Cane Honey, Ginja, Banana, among others … are typical liqueurs of the island, usually homemade. They are especially appreciated during the Christmas season, accompanied by the Madeira Honey Cake and Cookies. Madeiran chicken soup is traditionally consumed on Christmas night, served in small bowls or cups, usually accompanied by traditional “Bolo de Caco” bread.